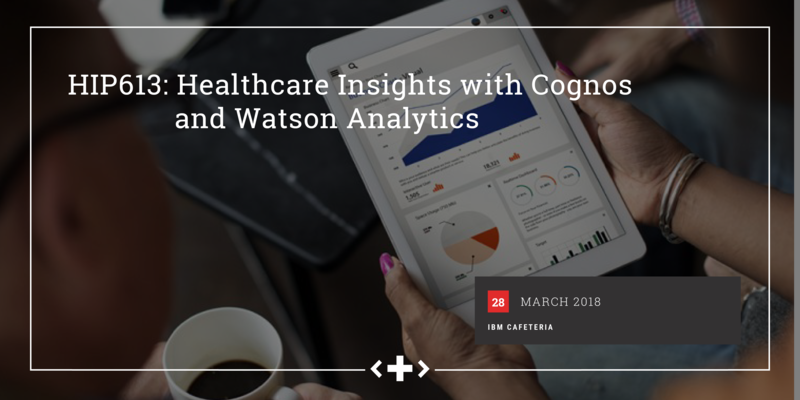 Join us to learn how to take advantage of the power of IBM Cognos Analytics and Watson Analytics to analyze real world healthcare data to explore and to discover new insights. We’ll start off by looking at some simple use cases and end up ramping it up to showcase some awesome techniques. We’ll look at how to analyze your data, to find some key insights and to build a great looking dashboard in just a few clicks. You will also learn how to get up and running with IBM Cognos Analytics and Watson Analytics, and to get real insights from your data. Smart data analysis and visualization. Get data discovery capabilities and visualizations you can use to understand your business on your own. No data science or advanced modeling skills are required.